Wednesday, April 17th, 2019 @5:45 Am, Amex Stadium, Falmer. A classic relegation battle as two sides at the wrong end of the table attempt to get some much-needed points to help them stay up. Thursday, April 18th, 2019 @6:00, City of Manchester Stadium. 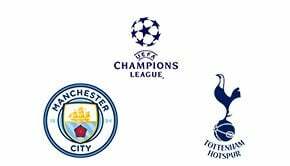 Tottenham hold the narrowest of advantages as they head to the Etihad Stadium looking to end Manchester City’s hopes of an unprecedented quadruple. Wednesday, April 17th, 2019 @6:00, Camp Nou. 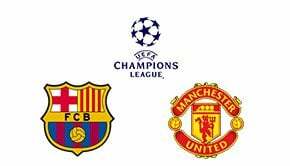 It is advantage Barcelona as Manchester United travel to the Catalan giants needing to draw on inspiration from their shock comeback against Paris Saint-Germain in the last 16 if they are to have any hope of progression. Wednesday, April 17th, 2019 @6:00, Juventus Stadium. Juventus welcome Ajax to Allianz Stadium for the second leg of their Champions League quarter-final with the tie in the balance after the first game ended 1-1.